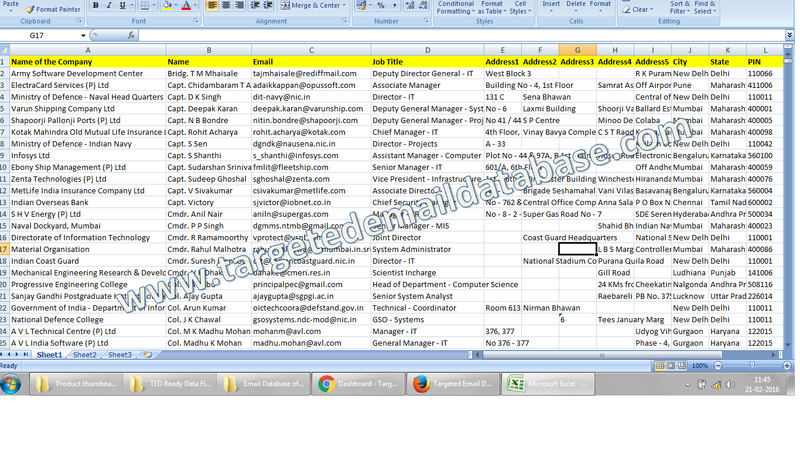 Email Database of CTOs & IT Heads is an Official Email Id List of CTO & IT Heads in Different Companies & Corporates. 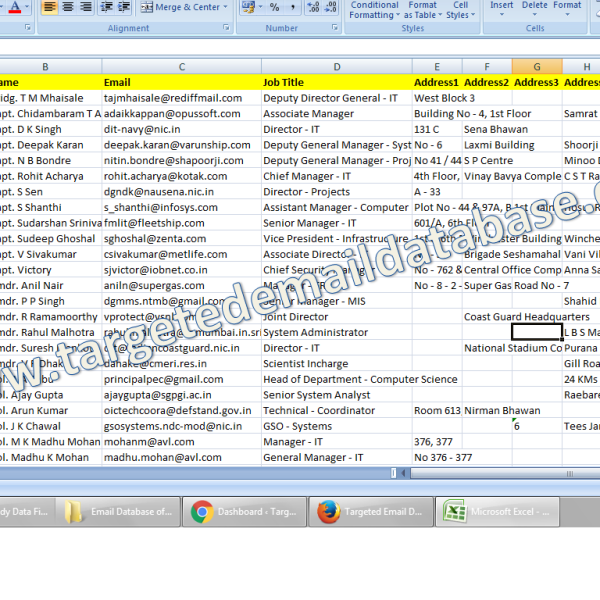 Details: Email Database of CTOs & IT Heads is an Official Email Id List of CTO & IT Heads in Different Companies & Corporates. Fields Mentioned: Company Name, CTO & IT Heads Name, CTO & IT Heads Official Email id, Designation, Company Profile, Phone, Industry Segment, Address, Location etc (Check Samples for details). Usage: Extremely useful for Selling or Marketing for any kind of IT related Products like Hardware, Software, Surveillance, Applications etc in Corporates & Companies. Why to Use this data: It will help you to reach your Exact Target Audience & Decision Makers directly. Quantity: 67 Thousand 736 records.